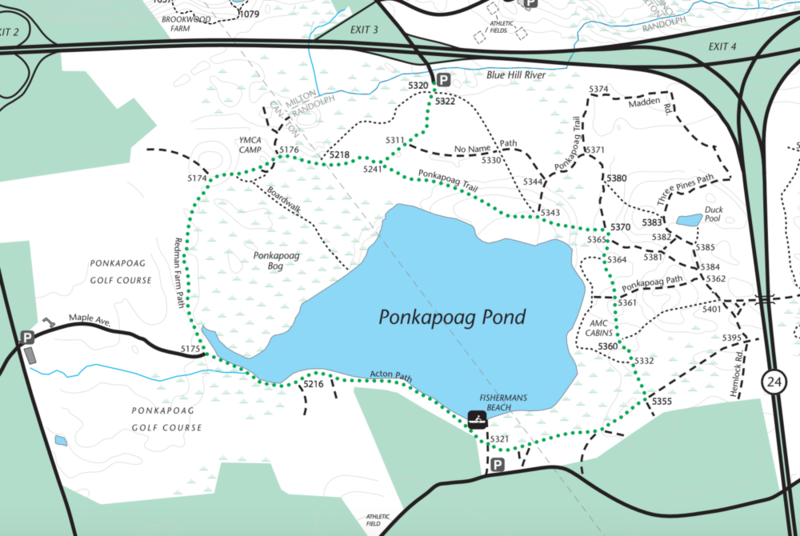 The Ponkapoag Pond Boardwalk is a really good option for less active dogs or those looking for a more relaxed hike. There is almost no elevation here, and the area feels like a relaxing stroll in the woods. Another really great thing about it is that it's right off 93S. On a nice fall day, we went out with Tucker and Lola the 10 lbs corgi puppy. This was Lola's first time out here, and she had a blast! We started off on the Ponkapoag Trail and then took a left to the Boardwalk. She fell in the bog, which was hilarious.